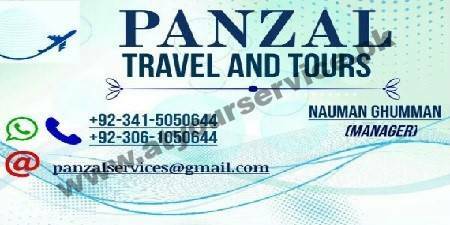 PANZAL Travels & Tours is located in Ghouri Town, Islamabad. We provide services for visit visas, tourist packages, Umrah packages, Umra visa, study abroad consultancy & visa. We also issue domestic and international air ticket for all airlines.